“What about Confederate soldiers’ graves?” Mother wondered aloud. So what actually happened to the graves of Confederate soldiers buried at Gettysburg? Now, since I’m writing blog posts in modern times, I can tell you. Confederate soldiers who died at Gettysburg typically were not interred quickly. Why? Several reasons. The Confederates made attacks which left their dead beyond their main lines, too difficult and dangerous to bury. The Confederate army retreated without burying their dead, and the Union army was occupied trying to get their own dead interred. Yes, some Confederates were buried by Yankee soldiers, but most were left in the fields and woods for the civilians or later military burial details to move to proper graves. Confederate soldiers were not reburied in Gettysburg National Cemetery. Samuel Weaver – the man in charge of oversee the disinterment of original graves to move the bodies to the new cemetery – was zealous in his goal not to have a single Rebel buried alongside Union men in the national cemetery. 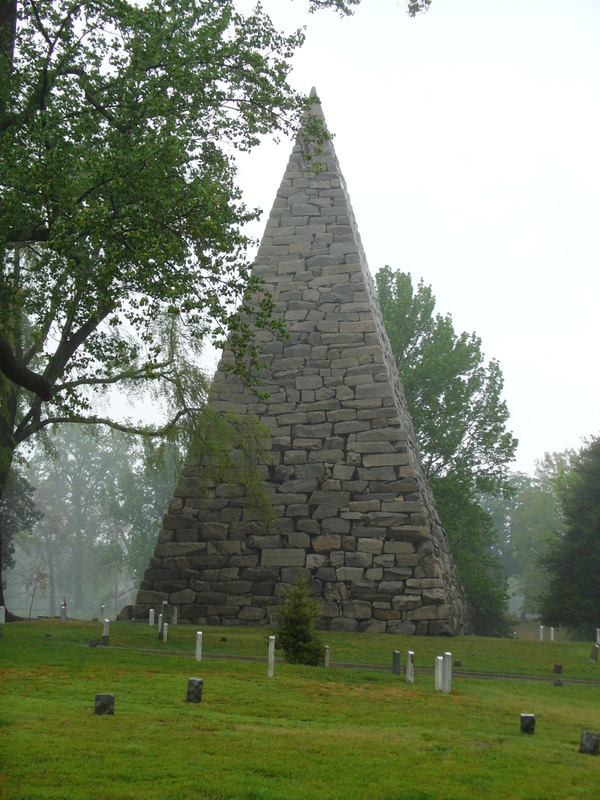 (We now know that at least two Southern soldiers are buried in the national cemetery). Confederate graves were left alone and often unattended. However, some Gettysburg civilians respectfully tended the burial places of their former enemies, especially if the grave was on their property. Some tried to keep records of the Southern graves in case family members ever came searching. But other civilians didn’t care, and burial places were neglected and destroyed by farm work. Don’t suppose for a moment that the Southern people didn’t care about their loved ones buried at Gettysburg. Empty chairs can’t be filled, and, for many households, Gettysburg would always have a mournful tone. But the Confederacy lost the war; the Southern economy was in shambles. People were trying to survive. They didn’t have the money, time, or other necessary resources to bring “their boys” home. About five years after the end of the war, the South was stabilized enough for people to seriously consider their fallen soldiers who still lay in temporary graves at Gettysburg. Ladies’ Memorial Associations across the South formed the resolution to raise money, find helpful connections, disinter the Confederate soldiers, and re-bury them in Southern cemeteries. It was clear the Confederate dead were not welcome in the Gettysburg National Cemetery, so the ladies decided to bring their fallen back to Southern soil. 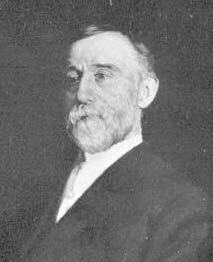 Samuel Weaver, who had worked on the national cemetery, died before progress could be made to help the Southern ladies in their mission, and with Sam Weaver died the most comprehensive information about the Gettysburg Confederate dead. After-all, he had known which burial places not to disinter in 1863. But Sam Weaver had a son: Rufus Weaver. And, after much begging and pleading, Rufus agreed to help the memorial associations. In 1871, Rufus Weaver oversaw the first Confederate disinterment, and, by the end of the year, over 300 caskets had been sent south. 73 soldiers had been identified and their families were notified. Some Gettysburg farmers were particularly hard-hearted and mercenary. They wanted to be paid for the years they had tended the graves on their property. And they wanted to be paid to allow Rufus to work on their land. However, on the whole, most farmers cooperated and shared burial records if they had them. 300 soldiers was only a fraction of the almost 5,000 Southern men who died during the battle…and many of their graves wouldn’t be found or couldn’t be identified. Hollywood Cemetery in Richmond, Virginia, (named for the actually holly plant, not the California movie capital) offered to pay for the removal and transportation of all the Confederate dead still at Gettysburg, not just the Virginians. Rufus agreed to their offer and worked 18-20 hours a day during the spring and summer of 1872. Most of the Gettysburg soldiers buried in Hollywood were never identified. Sometimes the burial trenches had been damaged by farm work…and, in the end, Weaver respectfully placed the broken bones in caskets and sent them to Richmond. Rufus Weaver claimed to have removed 3,320 Confederate dead from the Gettysburg and sent them to Southern burial places. However, he never received the promised compensation for his work. The memorial builders in Richmond owned him $6,000 by the end of 1873, but they lacked money and didn’t pay. When Rufus died in 1936, he had still not received monetary payment for the work he had done. Although many of the Confederate soldiers where relocated to Southern cemeteries during the early 1870’s, others were not found until later decades. Buried soldiers – both Union and Confederate – continued to be found on the Gettysburg battlefield or other nearby locations throughout the 20th century. Laying the dead to rest with respect sometimes takes time and endless effort. Rufus Weaver and the Southern Memorial Associations made a sincere effort to bring honor to the Confederate soldiers who fought at Gettysburg and to ensure that their graves would be honored and not destroyed. Previous What Are “The Middle Ages”? It’s hard to believe your information when the photo of the dead along Hagerstown Road, Gettysburg is actually a photo taken along Hagerstown Road, Sharpsburg Maryland, the battlefield at Antietam. Trust me, I work both places. I know exactly where this photo was taken, and it’s not in Gettysburg. Thanks for bringing this to our attention. It was not intended to be inaccurate, and we appreciate your comment. We have removed the Hagerstown Rd. casualty photograph which you identified as Sharpsburg’s Hagerstown Rd. 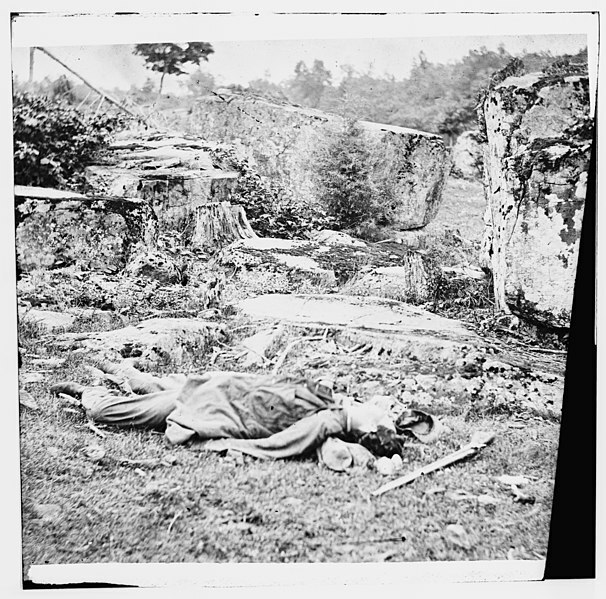 and replaced it with an Gettysburg casualty image from Library of Congress.